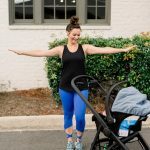 This post is in partnership with Kindred Bravely and Boppy. Also, you will NOT want to miss the ultimate breastfeeding giveaway I’ll be sharing soon on the blog in honor of this series! I cannot wait to gift one of the mommas in the My Life Well Loved community some of my favorite breastfeeding/nursing items! I can take it anywhere on the go! I have had it since Leyton was a baby and it is still going strong! It is more straight forward without as many buttons. It has less parts and is overall less complicated to assemble, take apart, and clean. It is not as strong as the Spectra because of the lack of power cord. It is definitely the more efficient of the two. I see a better milk supply when pumping using the Spectra because I believe it more efficiently empties me quickly which allows my body to know to make more milk for the Finnster. I have to plug it in and am bound to wherever the closest plug is. I don’t like how many parts there are. I feel like it is easier to lose parts because of them all being white/clear and tiny compared to bigger parts on the Medela. I am always scared the tiny parts will fall down the drain. 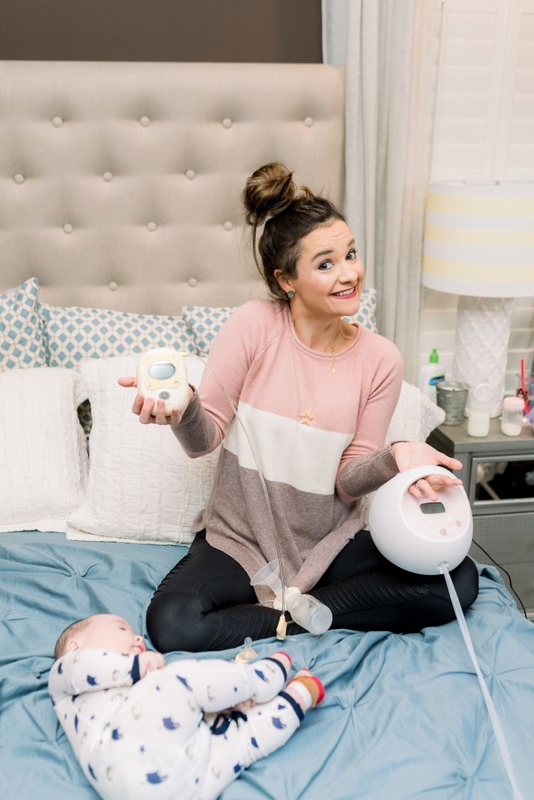 It does not automatically switch between “sucking” phases like the Medela so I will often forget to switch while I’m multi-tasking. I love my Medela Freestyle Pump for traveling and taking anywhere on the go! It is not as strong because it is cordless BUT it is great for traveling. Paired with this Belibea Hands Free Pumping Bra is the perfect on-the-go pumping match! I use Spectra bottles with Spectra pump. The Medela Freestyle Pump is easier to use and clean! However, the Spectra is faster! I truly like having both on hand but because of my lifestyle if you forced me to choose one, I’d probably want to try the Spectra cordless to see if it’s more efficient than my freestyle! This is going to depend entirely on your insurance and which pump you are choosing. Both of mine were covered by insurance. I think the Spectra is more powerful! I have better milk production with the Spectra! The Spectra is quieter and there are more setting options for personalization (which was overwhelming to me in the beginning)! I haven’t had the leaking problem with either one but now that I’m staring really closely at my Spectra pump I do think I see a tad of milk in the tubes I hadn’t noticed before! Eek. I feel as though I get a better milk production with the Spectra because of the fact that it is plugged in and is more powerful/efficient. I really do like both for different reasons, I would perhaps choose the Spectra cordless if it it as powerful as the one that plugs in. I like the Spectra because it is more efficient and pumps faster but I would be lost without the cordless Freestyle Medela Pump when I travel, work out of coffee shops or am at the studio or in my car on conference calls! 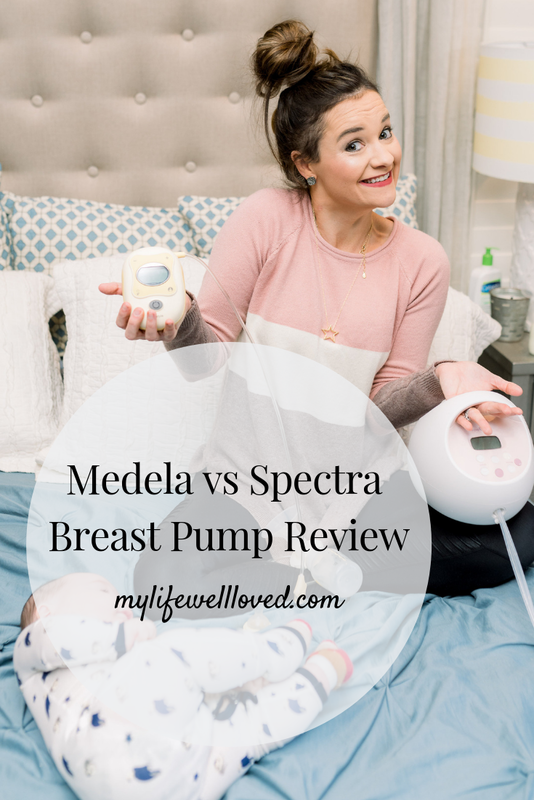 I use the Medela Freestyle pump with my Medela bottles and the Spectra pump with the Spectra bottles! I think the Medela Freestyle is the most convenient because it is cordless. 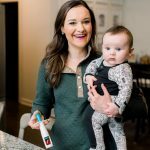 With traveling, I always gravitate toward taking my Medela because it’s also smaller and easier to pack. No, I have had the tubes become disconnected from the bottles several times and it is annoying. I honestly have never even noticed the stickiness until you’ve mentioned it, ha. Lint does not stick to the tubes and it definitely doesn’t bother me! The Spectra is definitely faster because it is plugged into the wall and has that power behind it! I’d love to hear from anyone that has the cordless one and the one you plug into the wall, how much more efficient the plug in one is than the one that is battery powered. I think the Medela Freestyle is easier to clean because there are less parts and all the little parts are beige and not white. With the Spectra, I feel like they blend into the sink and I often think I’ve let one fall down the drain! I think I get a better output from my Spectra! 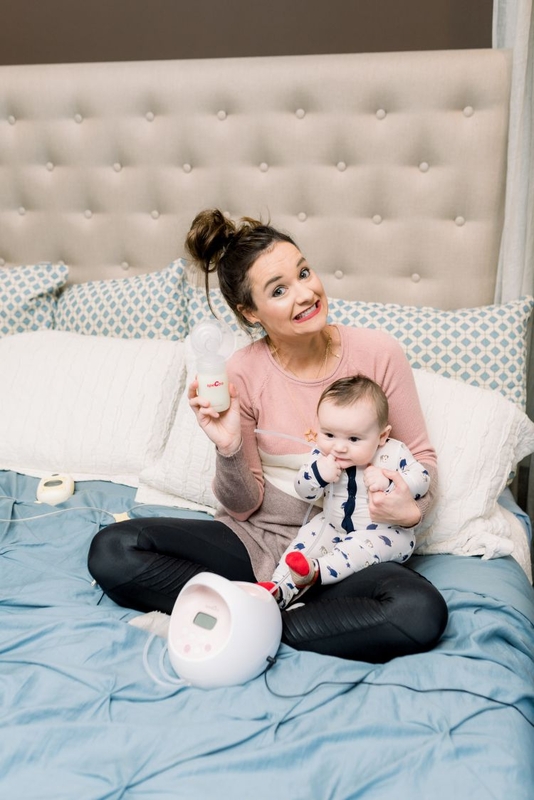 I think the Spectra pumps more because it isn’t cordless but I am sure it is different for each mom and per pump! The Spectra is definitely the MOST efficient! 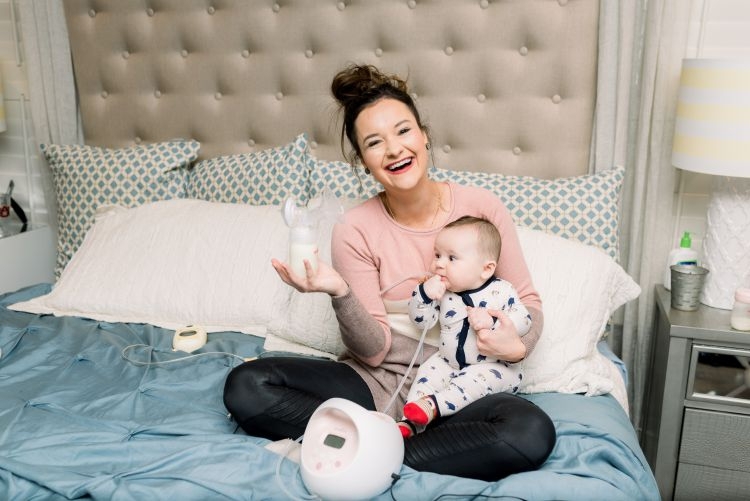 Aside from a good breast pump, there are so many items I see as “must-haves” because they just make the nursing and pumping life a little simpler! Kindred Bravely – The Kindred Bravely Signature Sublime Nursing Sports Bra is truly one of a kind! Who knew it would be so hard to find a nursing sports bra?! 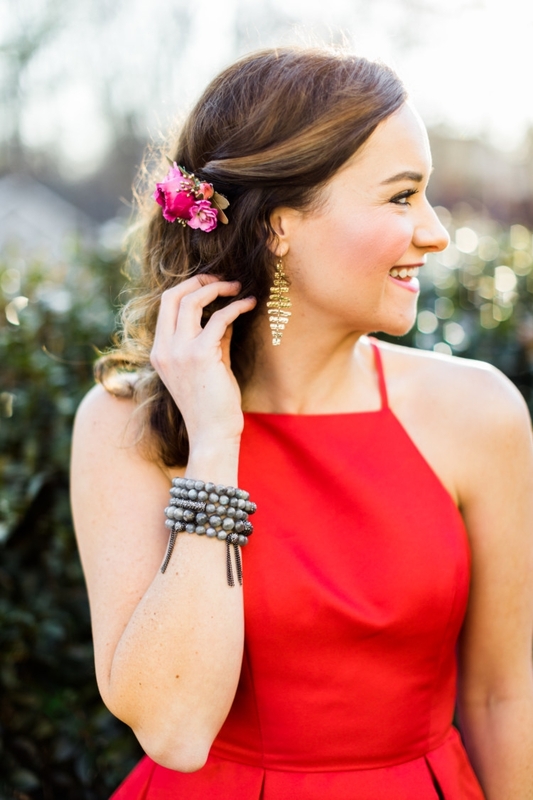 Use my code HEATHER20 for 20% off your entire purchase (some exclusions may apply and only 1 per customer). I also just received the Clara Top from Kindred Bravely and am excited to try it out! Y’all know I’ve loved their PJ’s, undies, and robes since I was pregnant–SO SO SO soft! 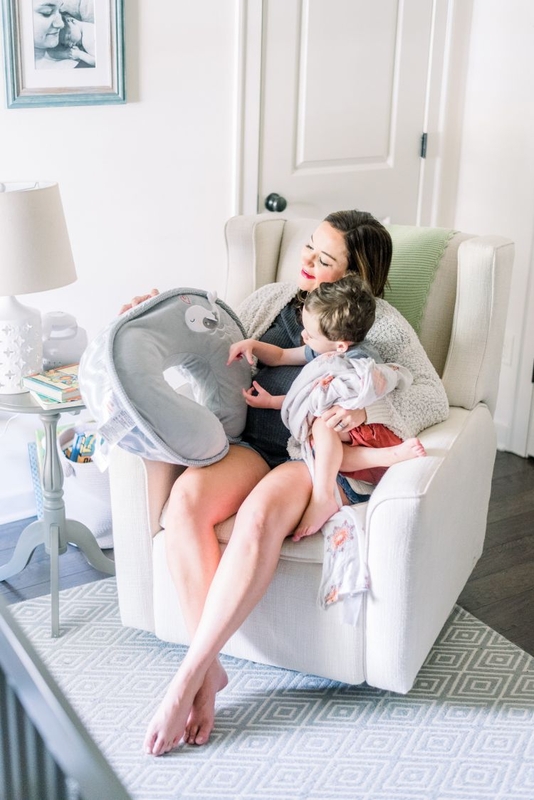 Boppy – A good nursing pillow is a must and we have loved Boppy ever since Leyton was a baby! I love that Boppy has changeable covers for the inevitable spit-up and that it is a great resting spot for baby too! Breastfeeding Part Cleaner Wipes – I love how handy and easy these wipes are! They are super cheap and great to have on hand when traveling or in your diaper bag! Belibea Cami & Hands Free Pumping Bra – Absolutely a MUST HAVE is the Belibea Hands Free Pumping Bra! I live in this thing on the days I know I will need to pump and especially when I am traveling without Finn. I also have the cami and I love it as well. I wore it much more right after Finn as born since I was staying home most of the day. Now that I am back at work and running around town, I tend to just wear the bra more often. Sarah Welles Bag – So many of you recommended this brand of bags to me on Instagram! I have yet to try them out but I trust all of your recommendations! If you are a working mama pumping in the office, I think these bags would be GREAT to have to transport your pump and all the parts! 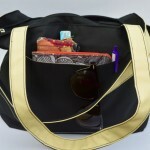 Ziplock Bags – One of my best tips breastfeeding tips of all time! I once was told you can store all your pump parts in a ziplock bag in the fridge to save yourself from having to wash them after each use! By storing them in an airtight ziplock bag, you don’t have to worry about molding for up to 24 hours! Some of you even said you go up to a week, but I read afterwards the CDC no longer recommends going that long. Pump Part Steaming Bags – Along the same lines as the Ziplock Bags above, these quick clean Steaming Bags are great, fast way to clean all the parts without having to run your dishwasher each time! 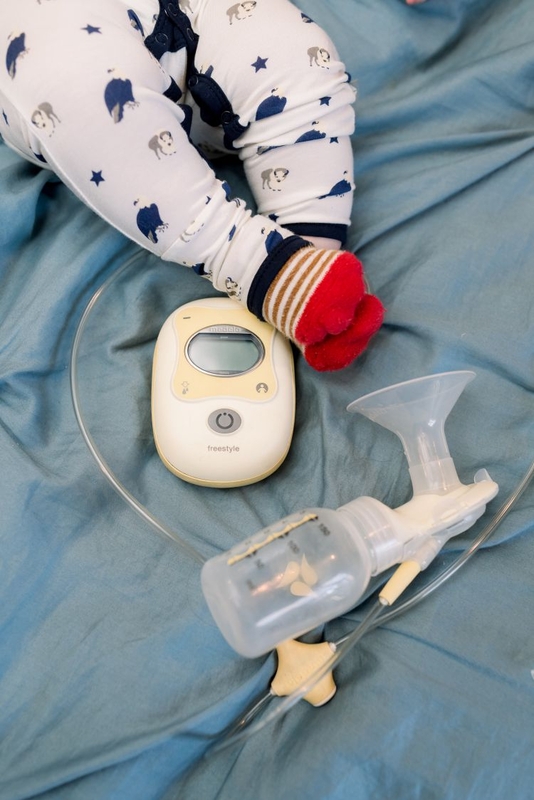 Amazon Cup – Who else loves those huge hospital cups you get when baby is born? I love having one of these near me at all times when breastfeeding to stay hydrated! Amazon Straws – These reusable straws have helped me so much with getting all my water in! They are long enough for big cups and I love that they are reusable and come with a cleaner! Aiden and Anais Swaddles – These swaddles or “kits” as Leyton calls them have been a favorite in our household for a long time! 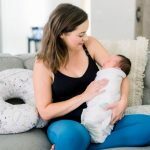 The reason these made my top list of breastfeeding must-have is because I try to always have one in the diaper bag or on hand when I am nursing Finn. Whether to clean spit-up, use as a nursing cover, or changing pad, these always come in handy! Lansinoh Breastmilk Storage Bags – Give me alllll the breastmilk storage bags! Having these on hand are essential for pumping and especially during travel! 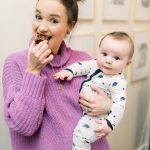 Breastfeeding Teas – I will be sharing more about all my favorite lactation teas, cookies, and bars to boost milk supply NEXT WEEK! But having lactation teas on hand are perfect for a little boost in milk supply! Small Side Table – I know this might seem silly but someone passed along this tip to me and I think it is genius! A little side table for a “nursing station” is a must have. 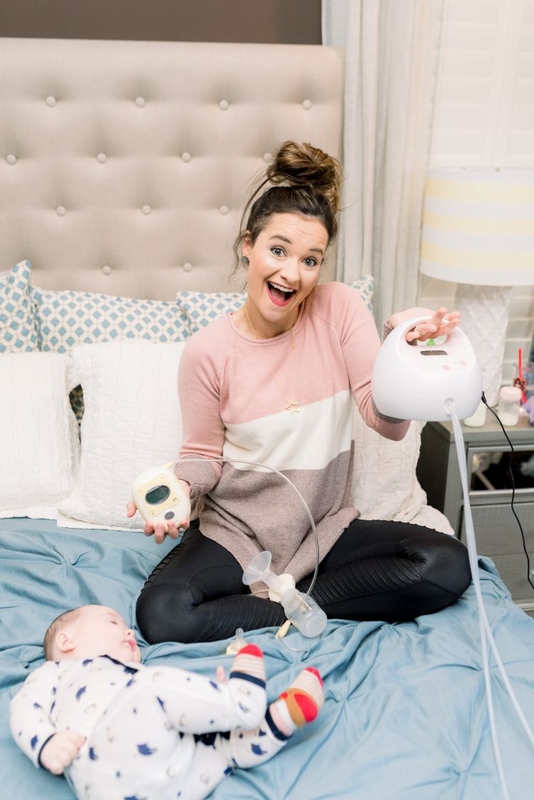 I love having a landing spot for all my nursing/pumping items so everything is within an arm’s reach while I am feeding baby. Things I love to store here include a long phone charger, glass of water, pumping essentials, and a swaddle! 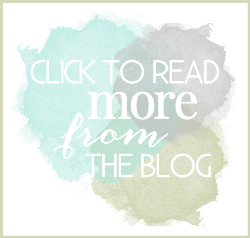 PIN the Best Breast Pumps + Breastfeeding Accessories Post for Later! 11 Lululemon Dupes That Will Shock You! I would love to hear more of your transition tips for going from one baby to two!